Brussels sprouts are the best winter vegetable. Let me convince you. Sauteing and then roasting Brussels sprouts brings out their sweetness in this puff pastry tart recipe. They’re green, round and nearly ubiquitous at many holiday meals. Seemingly unassuming, they manage to divide the masses like none other. It’s rare that such a small thing can cause such polarization, but they do so with aplomb. Yes, I am talking about the humble brussels sprout. And yes, I think they’re the best winter vegetable out there (and I know many of you will disagree). 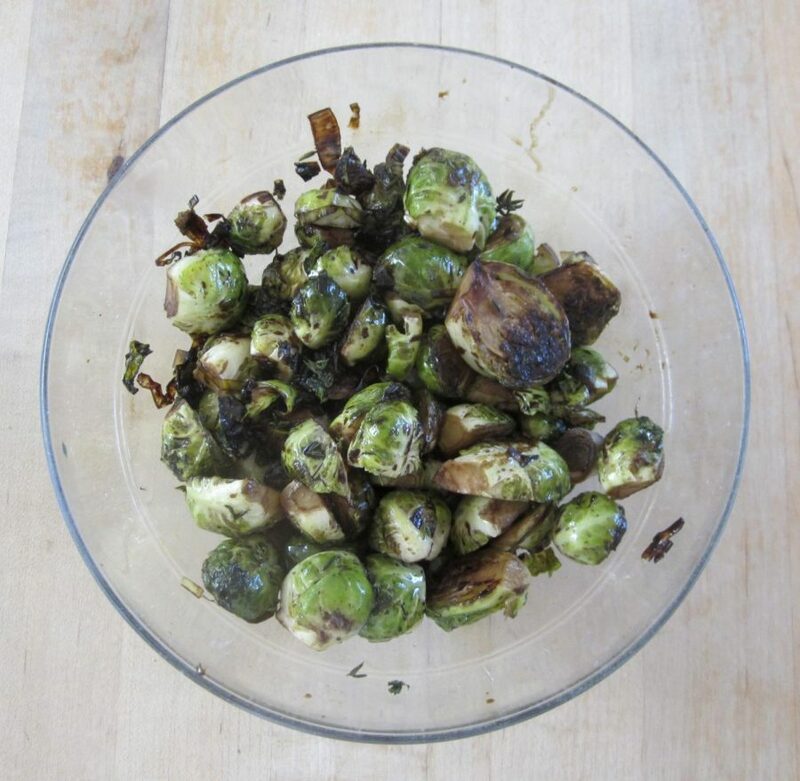 Brussels sprouts get a lot of flak, and I have to admit that I was also once a critic. But times have changed, and so has my opinion of the vegetable that so many love to hate. I think it has something to do with the color and the texture and the overall bad rap that any kind of cabbage gets. Brussels sprouts have been firmly espoused in holiday horror food lore. I can’t count the number of people who I’ve talked to who’ve had some sort of painful childhood experience with the food — great aunt Sally’s boiled and unsalted sprouts, anyone? Also, think back for a second. When was the last time you had a brussels sprout? Did you, like I did for so long, have one as a child, hate it and swear off the food forever? Because if that’s the case, I urge you to take a chance and try brussels sprouts again. Glaze them and roast them and add bacon bits — if you’re not vegetarian — and savor their delicate crispiness when they’re straight out of the oven. The leaves should peel off easily, there should be a slight crunch and they should have a warm center. The taste, which can vary depending on the spices you cook them with, should be slightly tangy and earthy, with a sweet finish. If you’re in need of recipes, look no further. The New York Times has compiled 16 ways to cook brussels sprouts, and there’s sure to be a recipe for every taste among them. Once you’ve done that, and sat down to a nice holiday meal with some brussels sprouts, potatoes (sweet potatoes are another winter favorite) and a protein of your choice, give them another chance. I’m fairly convinced you’ll be pleasantly surprised.